The Alaska Cruising season is in full swing, and here at Adventures With Anthony we are celebrating Alaska Week. 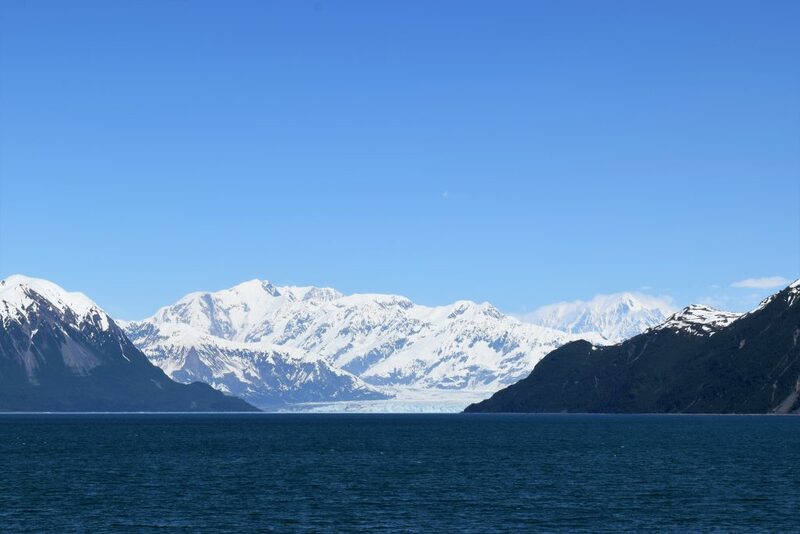 Come back everyday this week for a new article about Alaska Cruises, and find out why Alaska is not only our personal favorite cruise destination, but also the most popular cruise destination for our clients. Today’s post is all about the cruise tour options available on Alaska cruises. What is a cruise tour? Simply put, a cruise tour is a land portion added on either the front- or back-end of a cruise. Cruise tours are only available on the one-way Alaska cruises that either start or end in Alaska. If you’re on a cruise that starts in Alaska, your cruise tour will be in the days before the cruise departs. If you’re cruise starts in Vancouver and ends in Alaska then your cruise tour will start when the cruise ends. These tours are fully guided and you will have a choice of a dew different itineraries, just like with your cruise. How long are cruise tours? Most cruise tours add an additional 2 to 5 nights on land, but there are some cruise tours that last much longer. 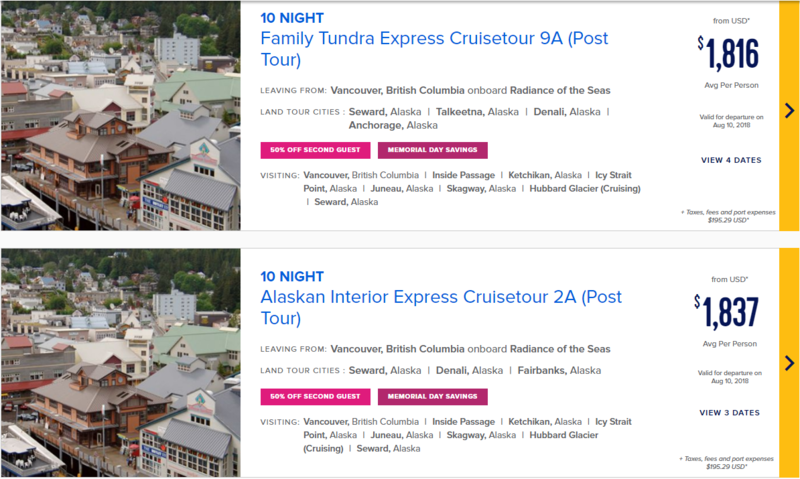 For example, Royal Caribbean has a 19 Night Ultimate Alaska and Canada cruise tour. This option includes a 7 night cruise, 7 night land tour in Alaska, and 5 night land tour in Canada. Where do cruise tours visit? Most Alaska cruise tours, even the shortest two day options, will visit Denali National Park and Fairbanks in the Alaska interior. They also typically include tours around Seward, where the ship docks, and occasionally downtown Anchorage as well. There are also cruise tour options on the Canada side of an Alaska cruise. 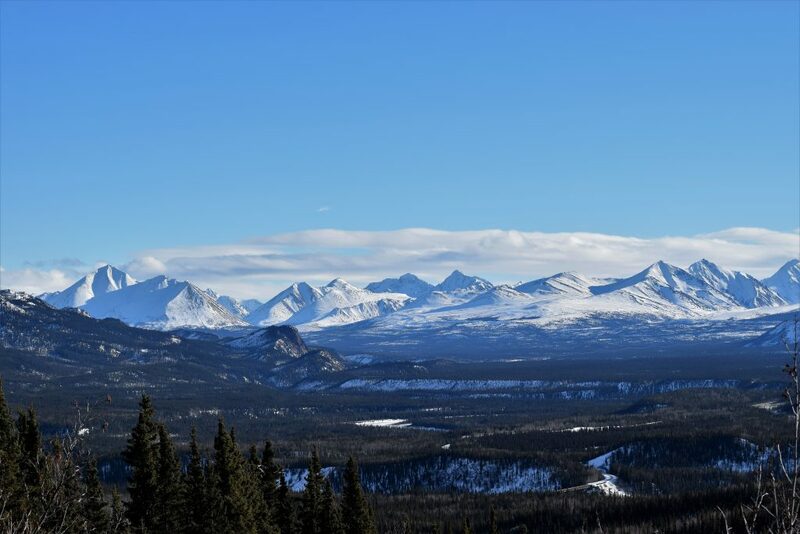 These often include visits to Banff and the Jasper Ice Fields. We got to see both of these sights on our Alaska road trip, and they are definitely worth a visit at least once. Longer cruise tours will of course visit more cities. Other potential stops on cruise tours include Alyeska, Talkeetna, and Whittier in Alaska or Lake Louise, Calgary, and Vancouver in Canada. This is the last of our scheduled posts for Alaska Week, but there is still a lot of information available about Alaska cruises. If you are ready to book an Alaska adventure or have questions, feel free to leave a comment or reach out to us. 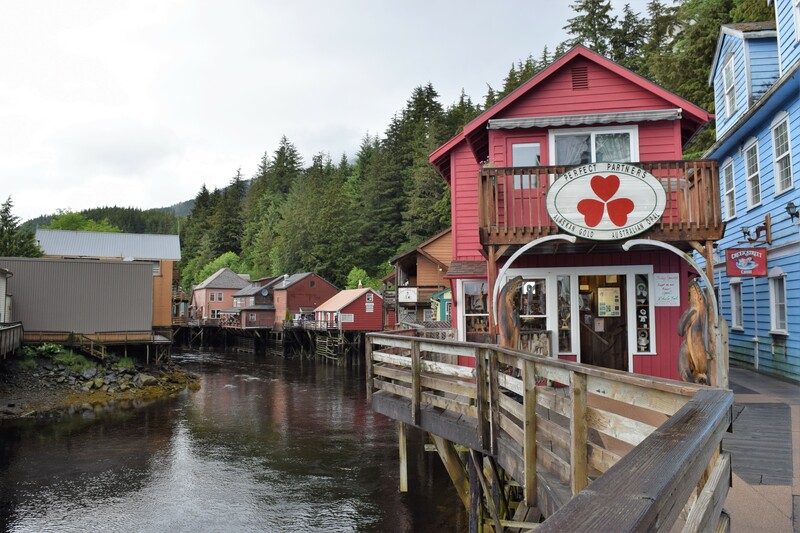 Today’s post is all about the excursions available when cruising Alaska. 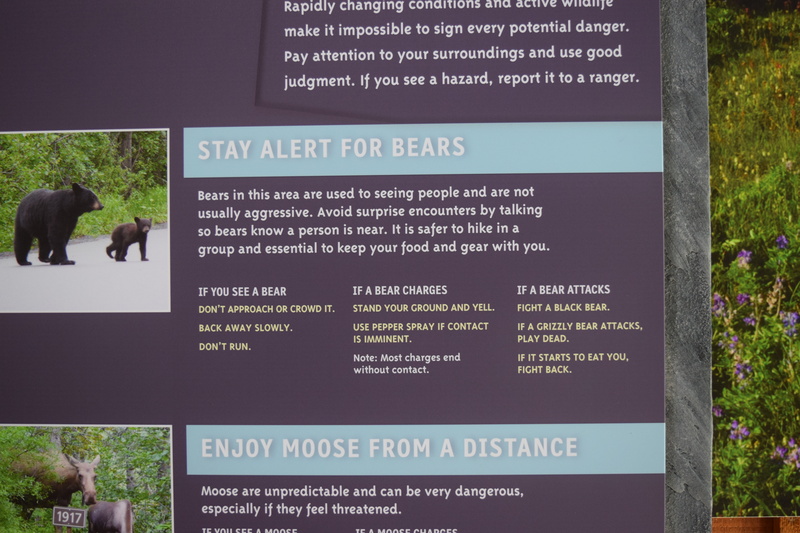 Read on for some of the best experiences you can look forward to in Alaska. Exit Glacier is a popular hiking destination in Seward. Know what to do if you run into a bear! Exit Glacier is a very popular glacial hike in Seward. It is considered a “drive-up” glacier and has several miles of hiking trails, ultimately leading to the Harding Icefield. The Icefield itself is a bit of a strenuous hike, but there are several paths along Exit Glacier that are viable for hiker’s of any skill. 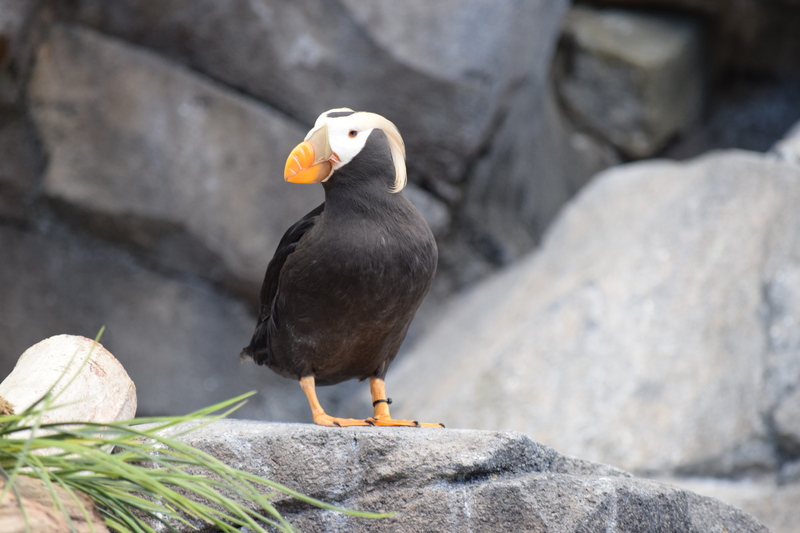 The Alaska SeaLife Center has a wide variety of fish, seabirds, and marine mammals. 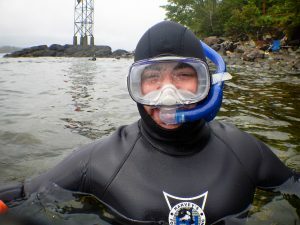 The SeaLife Center in Seward is a combination marine sanctuary and aquarium. It is Alaska’s only permanent marine mammal rehabilitation facility and the entrance fee goes to help their rehabilitation efforts. Admission rates for adults are $25 a person, and you should plan on spending 2-3 hours at the center. 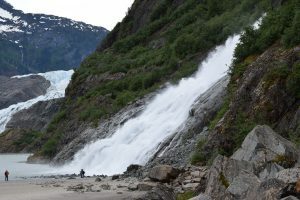 Nugget Falls is a popular and easy hike at Mendenhall Glacier. By far the most popular attraction in Juneau, Mendenhall Glacier is a drive-up glacier with a number of great hikes. There are several shuttle buses that run between the cruise port and Mendenhall. You can also get a taxi or a private shuttle if you would prefer. At Mendenhall, you can see Nugget Falls on a very short and paved hike, or take the slightly rougher East and West Glacier Trails. You can also take a tour to the Ice Caves if you want something a bit more unique. To get to the ice caves you have to kayak and then climb to the entrance, but if you have the time and the ability, it is well worth it. Juneau is one of the top ports in Alaska for whale watching. 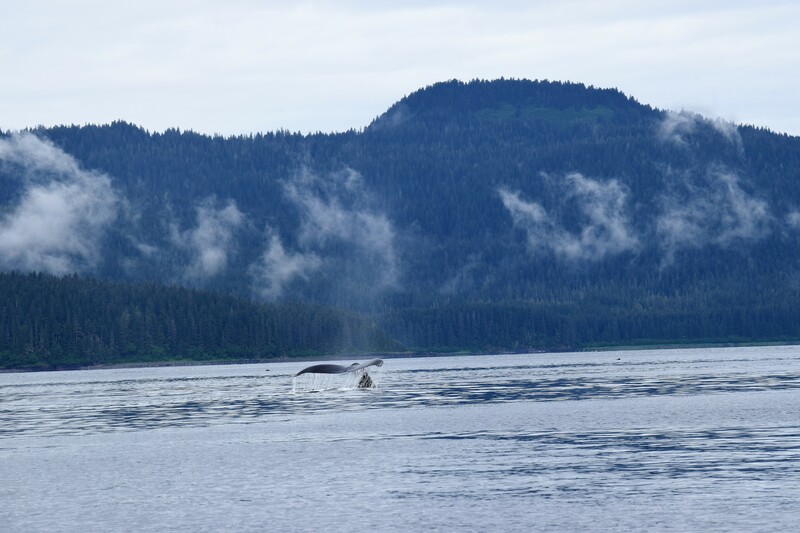 You can expect to see a number of humpback whales; in fact, in Alaska most whale watching tours offer a money back guarantee. If you do not see any whales you will get your money back. 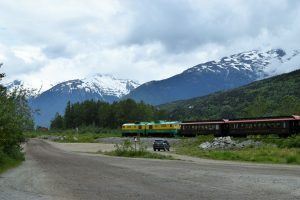 The White Pass Railway is probably the most popular excursion in Skagway. By far the most popular excursion in Skagway is the White Pass and Yukon Route Railway. The railway makes a 40 mile trip to the White Pass summit, lasting 3 to 3 and a half hours. If you book the excursion directly through the cruise company, you can be picked up by the train right at the port. 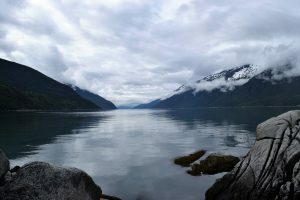 Skagway has a large number of hikes available very close to the downtown area. There are a large number of shorter hikes available for hikers of all skill levels. 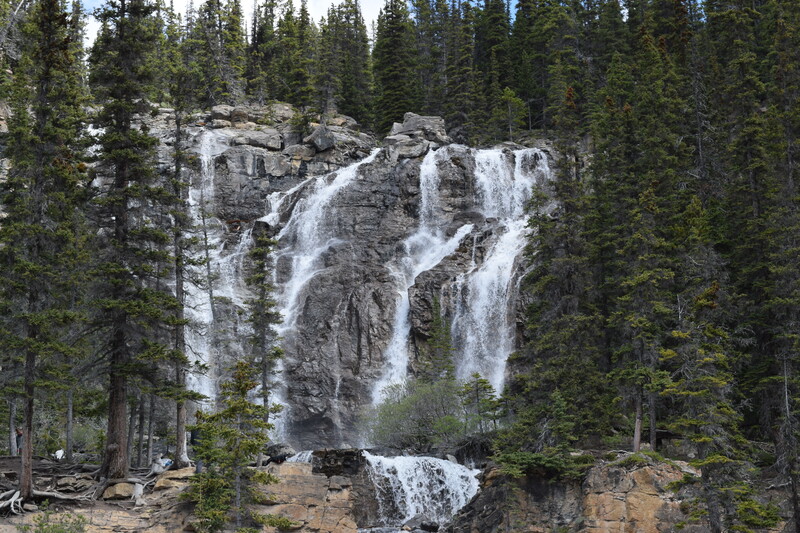 Yakutania Point and Lower Reid Falls are two of the top hikes available. If Juneau is the most well known whale watching spot, Icy Strait Point is arguably the best. Point Adolphus is commonly called the best whale watching area in all of North America, and sightings are guaranteed by most, if not all, companies. The zipline in Icy Strait Point is the world’s longest and highest. The ZipRider has a total length of 5,330 feet with a total drop of 1,300 feet and a maximum speed of 60 miles per hour. The water is cold, but this excursion is HOT! Brag to all your friends you got to snorkel in Alaska. Snorkeling in Alaska? That’s right. Ketchikan has a great snorkeling excursion complete with thick, cold-water wet suits. It’s cold, but once you’re in the water it’s not super noticeable. Make sure you come back tomorrow for our next entry in Alaska Cruise Week. And if you’re already ready to book your next Alaska adventure, reach out and let us help you plan your new favorite cruise.